Lyme disease is an infectious disease caused by a spirochetal bacteria known as Borrelia. It is most commonly transmitted through the bite of an infected tick. It is possible for a mother to pass the disease on to her unborn child and more research is needed into other forms of transmission (e.g. other biting insects, additional person to person transmission). See more information here. Q: Can I only catch Lyme disease when in the countryside or from America? No. Ticks have been found all over the UK, inclduing in urban parks and gardens. Q. How do I remove a tick? Please see our tick removal tips here. Q. If a tick is attached for less than 24 hours, is there less chance of catching Lyme disease? No. A common myth is that if you remove an infected tick before it has been attached for 24 hours or more, you can reduce the chances of catching Lyme disease. However, this theory is not supported by published research and so it is important to be vigilant and seek medical advice regardless of how long a tick has been attached to your body. Q: I don’t remember a tick bite – can I still have Lyme disease? Yes. Tick bites are usually painless and don’t normally itch. They can occur on areas of the body that you might not be able to see easily (i.e. your back, the back of your leg or your scalp). There is mounting evidence that a variety of biting insects can Lyme disease as well but research needs to be done on whether they are capable of transmitting the bacteria to humans. Q: Do I have the symptoms of Lyme disease? There are many signs and symptoms of Lyme disease and it can mimic many different illnesses. This online questionnaire, designed by American Lyme disease specialist Dr Horowitz, enables you to find out what the likelihood is of your illness being related to tick-borne disease. Lyme disease symptoms are often migratory and fluctuating. Additionally, symptoms can have a delayed onset following a tick bite. Q: I had a bull’s-eye rash – does this mean I have Lyme disease? Yes. An erythema migrans (EM) bull’s-eye rash is diagnostic of Lyme disease and you should be treated accordingly. There may be some doubt as to whether you have a genuine EM bull’s-eye rash as a few other rashes can look similar, in particular ringworm and cellulitis. Additionally, EM rashes can be atypical in appearance and vary according to skin tone so it is always wise to take photos and show your doctor. See here for pictures of EM rashes. 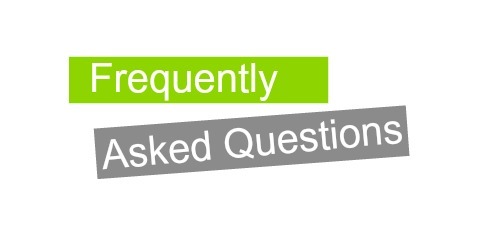 Q: I didn’t have any noticeable rash – can I still have Lyme disease? Yes. Figures vary when it comes to how many people report a rash following infection. Public Health England estimate that one third of people with infected bites do not experience a rash but one study carried out at an Infectious Disease clinic in Glasgow discovered that only 4% of their suspected Lyme disease patients had an EM rash. Q: What Lyme disease tests do the NHS do and how reliable are they? The initial test offered by the NHS is called an ELISA test which is usually performed at your local hospital laboratory and takes a few days or possibly a week to come back. Although there have been no specific studies to find out the percentage of false negatives in the UK, the reliability of the ELISA test appears to be questionable and it’s important to be aware that a negative result cannot rule out Lyme disease. If the ELISA test is positive or equivocal, the blood sample is usually sent to the National Reference Laboratory at Porton Down in England or the NHS Highland National Lyme Borreliosis Testing Laboratory at Raigmore Hospital in Scotland. The Western blot (sometimes called an Immunoblot) is then performed. This is a slightly better test but may still miss cases. You can request printouts of both of these tests and it’s advisable to do so for your own records. According to this paper, ‘when the two-tier test methodology for Lyme disease was compared with HIV two-stage testing, false negatives could be more than 500 times higher for Lyme disease’ testing’. There is evidence to suggest that Lyme disease does not behave like many other infections in terms of antibody responses and many doctors are not aware of this when interpreting results. Current UK testing does not include all strains of Borrelia known to cause disease and we do not have a test for cure, so it is impossible to say when the bacteria has been eradicated. Private testing from overseas does not tend to be accepted by NHS doctors. This is because many have not been independently evaluated or validated. Please see our Testing and Diagnosis pages for more information. Q: How good are the NHS at dealing with Lyme disease? Whilst awareness does seem to be growing, many of our group members have experienced misdiagnoses and a lack of care from the NHS when it comes to Lyme disease. People also report bull’s-eye rashes being dismissed as well as incorrect tick removal by GPs and hospital staff. Doctors and other medical professionals can take the e-learning course established by the RCGP and Lyme Disease Action. The NICE Lyme disease guideline was published in April 2018 and as stakeholders, we commented extensively on both the draft and final version, which we feel has numerous limitations. The evidence base on which the guidelines have been constructed is very poor and more research is desperately needed. There is a distinct lack of Lyme disease specialists within the NHS and this needs to change as soon as possible so that people are not passed from specialist to specialist without sufficient knowledge in this area of medicine, leaving a Lyme disease infection undiagnosed or misdiagnosed. Medical professionals, vets and scientists can attend conferences hosted by Vis-a-Vis Symposiums and the Academy of Nutritional Medicine to learn more about different approaches to Lyme disease. LDUK also holds Q&As with leading Lyme practitioners around the world. Q: What private testing options are there? There are private laboratories abroad which offer Lyme disease testing. It is important to remember that the NHS don’t tend to accept results from these independent laboratories because many have not been independently evaluated or validated. If you are unable to afford private testing and wish to do so, you can apply for a testing grant through the charity LymeAid UK. NB. Tests cannot prove the absence of Lyme disease. It’s always best to seek the advice of an experienced medical practitioner as sometimes a clinical diagnosis is necessary. Please see our Testing For Lyme Disease page for more information. Q: I had under a month’s worth of antibiotics for Lyme disease as a one off treatment – can I still have the disease? Peristence is possible. The standard short treatment with antibiotics reportedly leaves 63% of people with lingering symptoms. There is an ongoing debate regarding the causes of these symptoms but ‘Lyme literate’ doctors who follow the International Lyme and Associated Diseases Society (ILADS) guidelines argue that in a majority of cases, these symptoms can be caused by an ongoing Lyme disease infection or co-infections, resulting from a number of other organisms also transmitted through a tick bite. There is no test for cure and much more research is needed into persistent disease and effective protocols. The 2018 NICE guideline for Lyme disease recommends 17-28 days of antibiotics per course and it is now possible to have two courses of antibiotics. Q: How do I find a Lyme treating practitioner? Due to differing treatment approaches, this can be a complex process. Please contact us directly through our Facebook public page or discussion group. We have interviewed various independent Lyme disease practitioners in our Q&A series on our website. Q: Is it Lyme’s disease, Lymes disease or Lyme disease? Lyme disease is the correct spelling as the illness is named after the town of Old Lyme, Connecticut in the US where the illness was first named as a separate condition in 1975. Initially it was thought to be juveline rheumatoid arthritis after a cluster of children in the area developed arthritic symptoms. Disclaimer: We are not doctors or medical professionals.